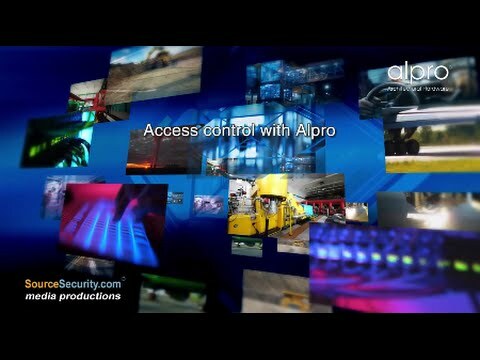 Among the exhibitors at the Locks and Security Equipment Exhibition at the East Midlands Conference Centre, will be Alpro Architectural Hardware (a division of IEC Ltd) the independent supplier of both mechanical and electro-mechanical products in the UK commercial aluminium OEM marketplace and access control environment. Alpro has supported the Locks and Security Equipment show, since its inception. But this year, attendance at this premier industry expo is far from being a one-off – it is part of a long-ranging strategy that aims to promote the company’s products and services to the locksmith’s community through every available means. Alpro Divisional Manager, Keith Parry said: “This show and its visitors represent a very important market sector for us and throughout this year we have elected to work as closely with locksmiths as possible. Coupled with the new European standards and the recently introduced CE marking requirements, Alpro want to ensure the message gets across as to what is actually required rather than what people think is required”. For more information: Call 01202 676262 or go to our website www.alpro.co.uk Alternatively visit one of our distributors for product and price information. Our distributors are 3E, Advanced Access, ADI Global Distribution, Aldridge Security, Duffels, GB Locking Systems, Lock-It Security & Hardware, Nigel Waters Hardware and Tate Colson. If you need contact details for any of our distributors please contact us.